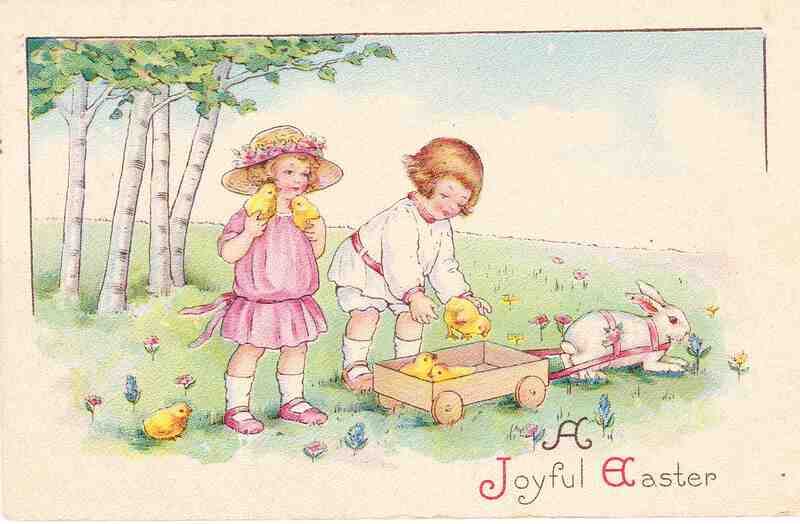 Thanks for the pretty vintage Easter cards. I’ve been enjoying your blogs which are coming directly to my inbox. Neat. How did I figure that out? Happy Easter to you and your whole family! My grandmother collected old postcards and when she passed she must have had several thousand stored away. As a kid I used to sort through them and be captivated for hours looking at the vintage photographs on the cards. These remind me of her cards. Hope you had a good Easter. Wow, thousands would be amazing to look at. Glad you enjoyed these. Thanks for commenting.